Engineer, Ph.D. student in Civil Systems Engineering at the Federico II University of Naples. His research interests are in the field of accessibility analysis and modelling, land-use and transport interactions and sustainable mobility. He is currently involved in the research project Smart Energy Master and in the COST Action TU1002 Accessibility Instruments for Planning Practice in Europe. Engineer, Ph.D. student in Civil Systems Engineering at University of Naples Federico II. He received a master’s degree in Environmental and Land Engineering with a thesis on "The integrated government of land use and mobility for environmental sustainability in the metropolitan areas: evaluation techniques of different scenarios for the city of Rome". In July 2013 he won a scholarship within the PRIN project on the “Impacts of mobility policies on urban transformability, environment and property market”. He is currently involved in the research project "Smart Energy Master" at the Department of Civil, Architectural and Environmental Engineering – University of Naples Federico II and in the COST Action TU1002 Accessibility Instruments for Planning Practice in Europe. Architect, she received a master’s degree with honors from the University of Naples Federico II with a thesis in Architectural and Urban Design (project for a sustainable university residence and masterplan for the urban regeneration of a part of the industrial area of Marghera, Venice). She operates in the field of sustainable buildings and environments and since 2014 she works with the Department of Civil , Architectural and Environmental Engineering withinin the research project Smart Energy Master investigating the “smart” performance of the Metropolitan City of Bari. Engineer, Ph.D. student in Civil Systems Engineering at University of Naples Federico II. She received a master’s degree in Architecture and Building Engineering with a thesis on urban expansion and the sprawl phenomena, with particular attention for Campania. Since 2014, she works at the Department of Civil, Architectural and Environmental Engineering – University of Naples Federico II – within the European project “Smart Energy Master” and her research activity is focused on the complex and multidimensional relationship between the city and energy consumption. Architect, graduated in Architecture from the University Federico II in Naples in 2006. In January 2014 holds a PhD in Environmental Technology with a research focused on rehabilitation strategies for semi-enclosed spaces in the “Compact City”. He is currently involved in the project Smart Energy Master at the DICEA department of the University of Naples Federico II. His research activity is focused on the link between urban open spaces and energy consumption. Starting from the relationship between urban planning and mobility management, TeMA has gradually expanded the view of the covered topics, always remaining in the groove of rigorous scientific in-depth analysis. During the last two years a particular attention has been paid on the Smart Cities theme and on the different meanings that come with it. 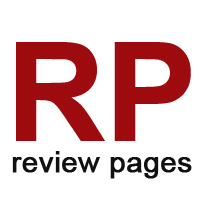 The last section of the journal is formed by the Review Pages. They have different aims: to inform on the problems, trends and evolutionary processes; to investigate on the paths by highlighting the advanced relationships among apparently distant disciplinary fields; to explore the interaction’s areas, experiences and potential applications; to underline interactions, disciplinary developments but also, if present, defeats and setbacks. Inside the journal the Review Pages have the task of stimulating as much as possible the circulation of ideas and the discovery of new points of view. For this reason the section is founded on a series of basic’s references, required for the identification of new and more advanced interactions. These references are the research, the planning acts, the actions and the applications, analysed and investigated both for their ability to give a systematic response to questions concerning the urban and territorial planning, and for their attention to aspects such as the environmental sustainability and the innovation in the practices. For this purpose the Review Pages are formed by five sections (Web Resources; Books; Laws; Urban Practices; News and Events), each of which examines a specific aspect of the broader information storage of interest for TeMA. Baker, I., Peterson, A., Brown, G., & McAlpine, C. (2012). Local government response to the impacts of climate change: An evaluation of local climate adaptation plans. Landscape and urban planning, 107(2), 127-136. doi:10.1016/j.landurbplan.2012.05.009. Colucci, A. (2012). Towards resilient cities. Comparing approaches/strategies. TeMA Journal of Land Use, Mobility and Environment, 5(2), 101-116. doi: http://dx.doi.org/10.6092/1970-9870/921. European Commission (2014). A policy framework for climate and energy in the period from 2020 to 2030. European Commission, Brussels, Belgium. European Commission (2013). An EU Strategy on adaptation to climate change. European Commission, Brussels, Belgium. European Environmental Agency (2012). Climate change, impacts and vulnerability in Europe 2012. European Environmental Agency, Copenhagen, Denmark. Galderisi, A., & Ferrara, F. (2012). Enhancing urban resilience in face of climate change: A methodological approach. TeMA Journal of Land Use, Mobility and Environment, 5(2), 69-88. doi:http://dx.doi.org/10.6092/1970-9870/936. Gargiulo, C., Pinto, V., & Zucaro, F. (2012). City and mobility: towards an integrated approach to resolve energy problems. TeMA, Journal of Land Use, Mobility and Environment, 5(2), 23-54. doi:http://dx.doi.org/10.6092/1970-9870/920. Hickman, R., & Banister, D. (2014). Transport, climate change and the city. Routledge. Hoffman, A. J. (2011). Talking past each other? Cultural framing of skeptical and convinced logics in the climate change debate. Organization & Environment, 24(1), 3-33. doi: 10.1177/1086026611404336. Hoornweg, D., et al. (2010). Cities and climate change: An urgent agenda, The World Bank, Washington, D. C.
IPCC (2014). Climate Change 2014: Synthesis Report. Contribution of Working Groups I, II and III to the Fifth Assessment Report of the Intergovernmental Panel on Climate Change [Core Writing Team, R.K. Pachauri and L.A. Meyer (eds.)]. IPCC, Geneva, Switzerland, 151 pp. Ministero dell'Ambiente e della Tutela del Territorio e del Mare (2014). Elementi per una strategia nazionale di adattamento ai cambiamenti climatici. OECD (2010). Cities and Climate Change. OECD Publishing, Paris, France. Salat, S., & Bourdic, L. (2012). Systemic resilience of complex urban systems. TeMA Journal of Land Use, Mobility and Environment, 5(2), 55-68. doi:http://dx.doi.org/10.6092/1970-9870/918. United Nations (2011). Global report on human settlements 2011: Cities and Climate Change. United Nation, Nairobi, Kenya. United Nation (1992). United Nations Framework Convention on Climate Change. United Nations, Geneva, Switzerland..
World Bank (2010). World Development report 2010: Development in a changing climate. World Bank, Washington, DC.